This is something I think I should have known. I feel pretty stupid even sharing this but I want my ignorance to potentially help someone. 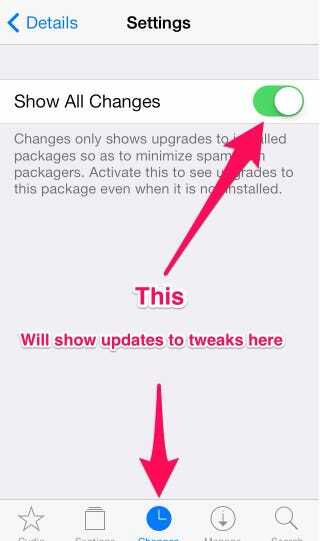 Enabling this switch in [Change Package Settings] when viewing a tweak in Cydia will show you updates to that tweak even when it's not installed. This is very useful right now as there are many tweaks that are still awaiting an iOS 7 update. All you have to do is find all your favorite tweaks in Cydia and enable this and it will show you when updates are available.